Guest post by Martyn Evans, Chair of the National Strategy for Public Libraries in Scotland Strategic Group. The Group was established and supported by the Scottish Library and Information Council. As with the rest of the UK and beyond, public libraries in Scotland are undergoing a period of transition. A decline in book lending, the sea-change in how information and knowledge is created and shared due to digital technology, the shifting needs of the community, the current economic climate, and a need for stronger leadership within the sector are all part of this picture of change. Given this context, the National Strategy for Public Libraries Strategic Group set out to develop a strategy (available here) that would prove to be both a map and a compass: a map to show the terrain ahead and a compass to set a clear direction of travel. The hope? 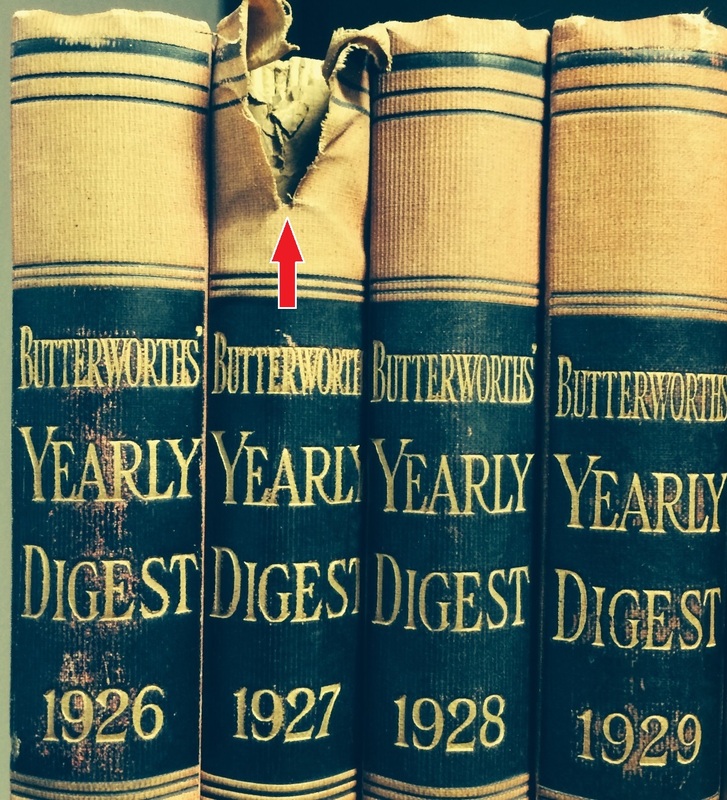 To show libraries how to plot a way through the ever-changing now. The destination? A future where libraries shift from safeguarding and lending information to actively helping citizens engage with information to improve their wellbeing, aspirations and potential. Following from this, the group articulated a vision where public libraries ‘are trusted guides connecting all of our people to the world's possibilities and opportunities' and set out to be ‘part of a shared civic ambition to fulfil the potential of individuals and communities’. To deliver on this vision we set out six strategic aims, each one clearly linked to national outcomes and indicators outlined in the Scottish Government’s National Performance Framework, and has detailed recommendations. Interwoven throughout the aims is a focus on performance (and, crucially, measuring what matters), promotion, partnership, people and leadership. 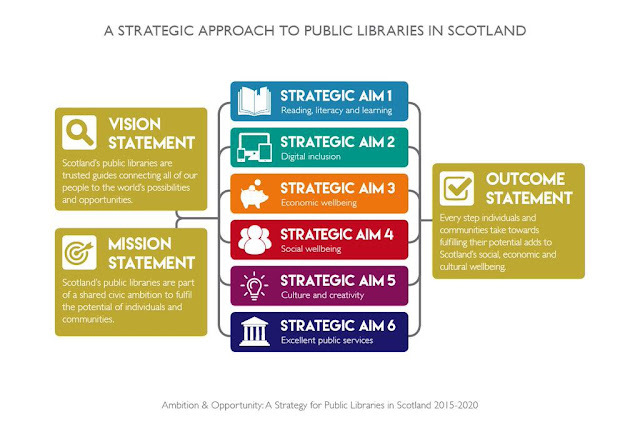 The strategy articulates the activities, aims and impacts of our public libraries in a way that draws in and engages a wider set of partners, advocates and stakeholders. It challenges non-library stakeholders to recognise public libraries’ potential to deliver on shared ambitions. It is also a challenge to those within the sector who say ‘but libraries already do all this’: examples of innovative practice do of course exist, but this does not equate to good practice across the board. Neither is there convincing evidence of libraries’ contributions that is meaningful to Scotland’s decision-makers and influencers. It was a great privilege to Chair this enthusiastic and expert Group. We had some fascinating discussions. I hope you enjoy reading the Strategy and feel you can help deliver its recommendations. A spectre is haunting librarianship - the spectre of radicalism! 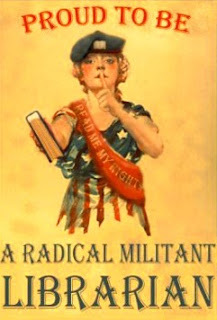 When asked to write about radical librarianship, my mind naturally began thinking about how to approach the topic - should I sketch a history of radicalism in libraries, deliver a polemic on the value of professional radicalism, or showcase the wide variety of interpretations the term enjoys in libraries today? I was confronted by a nebulous topic - difficult to define, let alone espouse the various merits and demerits of - and ultimately came to the conclusion that a through-line was required from which to sally forth and return to as I wrote. Like many things, you see, radicalism exists on a spectrum of intensity along which you will find extremes of both imperceptible disobedience and full-scale revolution. Though they vary in their commitment, each point on the spectrum shares a common devotion - sometimes for the better, sometimes for the worse, but always depending on who you ask about it - and that is a devotion to change. 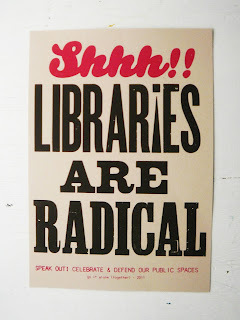 Radical librarianship is no different. 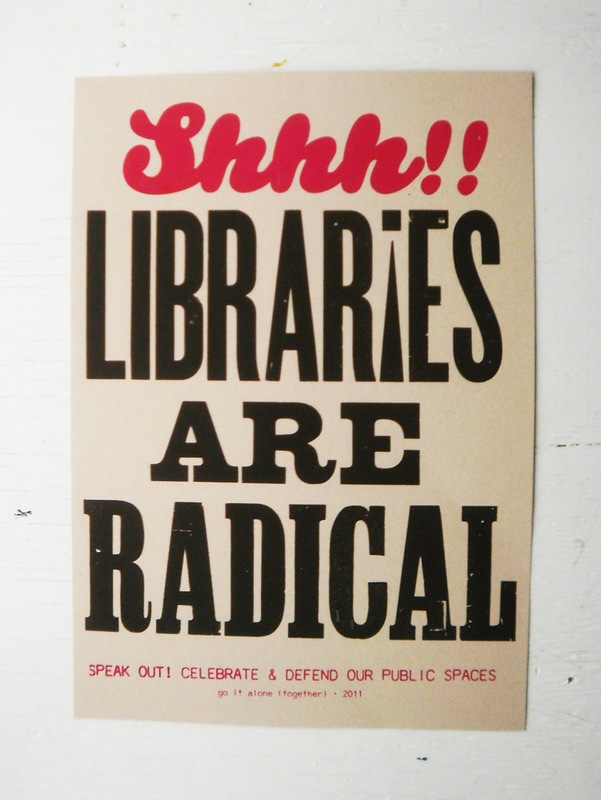 Firstly, what makes radical librarianship radical? What does radical mean? Briefly put, something described as radical can be characterised by its deliberate departure from convention - usually by way of vocal criticism and direct action. Radicalism is also usually positioned as reactionary and most often operates in direct opposition to an existing mode of operation - after all, something is only radical by comparison. In the case of libraries, this radicalism can often manifest itself as an outspoken critique of current best practices and a call for the reform of some aspect of libraries, writ large, at the structural level. 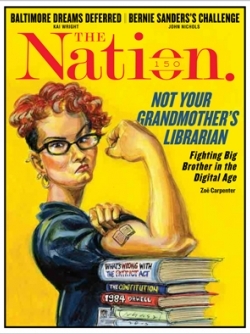 Examples of the issues radical librarians are most occupied with - though are not limited to discussing - include the increasing commodification of libraries, the ethics of classification and collection development, and the role libraries play in supporting or disintegrating communities. Outside the realm of mere debate, this kind of radicalism can also manifest itself as autonomous library projects, outreach programmes directed at fringe or countercultural communities, and the provision of information resources to activists. Though many of these examples may seem misguided, scary or generally undesirable to you, your library or your community, it is important to focus on the principles guiding them when thinking about whether to adopt radical measures or not. Examine your mandate, your services, your collections, and your policies - are any of these either accidentally or deliberately exclusionary? Remember that discrimination doesn’t always come in neat, stereotypical packages - it can be subtle, pervasive and especially difficult to self-identify. Examine your community and the groups operating in it as thoroughly as possible - open up a dialogue with these groups and listen to their feedback on the services you provide (and how you provide them). Examples of networks to concentrate on include migrant, homeless and LGBTQIA+ communities, labour movements, local artists, environmental groups, and advocacy groups for the elderly or disabled. If you cannot affect change in your own library, consider other options for bridging the gap between what can be done and what needs to be done - offer your personal expertise to groups on any upcoming projects; volunteer at local events; start up your own research or information service or help out with an existing one; start up your own community archive or help out with an existing one; broadcast the services your library does offer and suggest ways for these groups to best use them. 56a Infoshop - The 56a Infoshop is a volunteer-run, 100% unfunded DIY-run social centre in Walworth, South London. We are a resource for local people, campaign groups and projects as well as selling books, zines, music and t-shirts. We have an extensive radical archive of international info with hundreds if not thousands of publications that we have saved over the last 16 years of being open. We are part of a larger Social Centres Network in London and part of a global network of Infoshops, autonomous spaces, projects & people dreaming and working for a better world. 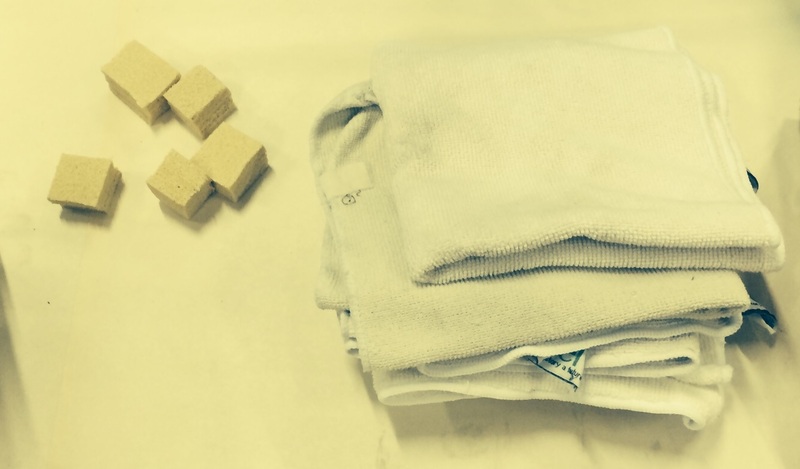 We share the space with Fareshares whole foods co-op and a free D.I.Y bicycle repair space. Stop by for a read, to fix your bike, buy some veg, to check the squatters' bulletin board or just for a cuppa. Radical Librarians Collective - There is no central committee running RLC. The collective grew organically out of conversations between like-minded library workers, and its membership continues to be fluid and evolving. You don’t even have to be a library worker to be part of the collective, and you definitely don’t have to commit any time or labour to joining in. 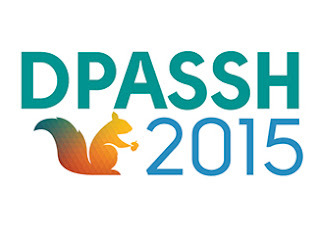 For national gatherings, an open and temporary organising committee is created from those members who have the time and energy to take it on for the planning period. This group does not represent RLC and everything it does, this is simply a group of people who have volunteered (via an open invitation sent to the RLC mailing list)to help create the space that RLC will inhabit on the day of a gathering. Anyone can volunteer at any stage, and can take on as small a role as they’d like. We are actively trying to mitigate the formation of a ‘clique’ or hierarchy in RLC and welcome fresh input. At the gathering itself, all attendees are welcome to suggest sessions and facilitate them, by no means just the organising committee. Equally, all attendees are expected to adhere to our Safer Spaces policy, and it’s all of our responsibilities to enforce it. The horizontalist approach RLC aims to take is an ongoing process that we’re all learning from. If you have any thoughts or suggestions on how to make RLC as inclusive and effective possible, please join in and send us an email. The Itinerant Poetry Library - We see libraries, and in particular, public libraries as the bedrock of world citizenship. We believe that nowhere else offers such information equity, trust and dialogue, between us as individuals, as communities, as cultures. For when we enter a library we encounter each other: encountering each other we are revealed more to ourselves. Through such meetings we begin to understand how we are connected by our experiences of a shared world. 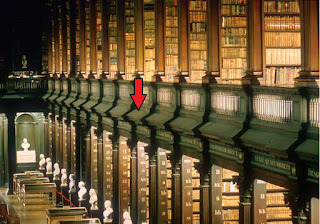 Fundamentally, when we enter a library we are offered the opportunity to learn new things and thus, as individuals, as world citizens, to grow. Thus, with this mission in mind, continuously since May 2006 The Itinerant Poetry Librarian has been travelling the world with a free public library, installing the library & librarian and archiving the sounds, poems and poetry of the cities, peoples and countries she meets. Bernard Zine Library - Barnard's zines are written by women, with an emphasis on zines by women of color. A woman's gender is self-defined. We also collect zines on feminism and femme identity by people of all genders. The zines are personal and political publications on activism, anarchism, body image, third-wave feminism, gender, parenting, queer community, riot grrrl, sexual assault, and other topics. Radical Reference - Radical Reference is a collective of volunteer library workers who believe in social justice and equality. We support activist communities, progressive organizations, and independent journalists by providing professional research support, education and access to information. We work in a collaborative virtual setting and are dedicated to information activism to foster a more egalitarian society. Radical reference originated as a service provided by volunteer library workers from all over the United States to assist demonstrators and activists at the convergence surrounding the Republican National Convention in New York City August 29-September 2, 2004. Archiv der Jugendkulturen e.V. - [shamefully translated using Google] There are few places where mods alongside rockers, hippies can stand next to skinheads or punks Emos next without a snide remark, the flaps of a knife or spitting at his feet. But these so different and often entangled in fighting youth cultures, including Raver, Psychobillies, New Romantics, graffiti sprayer, Gothics and many others have found in the archives of the youth cultures a place of harmony, where they would escape in the real world. They continue to live here, forever young and stylish, politically and creatively, in a library that combines the last 70 years of youth culture. There you will find rarities such as Israeli punk fanzines, the first Bravo or American student newspapers from the 40s. The material ranges from books to videos, cassettes, posters, flyers to T-shirts and wristbands. It may be for scientific research, journalists and filmmakers of importance. As a public library without fees, we are open to all. ● Tsang, C. Daniel (2004) “Taking a Stand.” Revolting Librarians Redux: Radical Librarians Speak Out. Edited by K.R Roberto and Jessamyn West. Jefferson, NC: McFarland, 61-65. 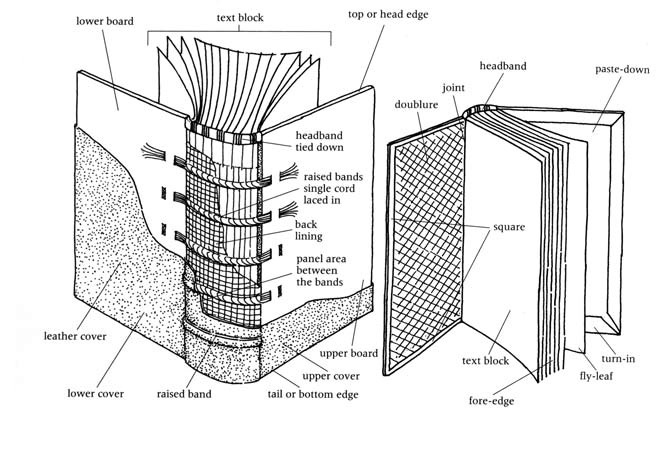 ● Bartel, Julie (2004) From A to Zine: Building a Winning Zine Collection in Your Library. Chicago: ALA Editions. ● Berman, Sanford (2008) “Introduction: Cataloging Reform, LC, and Me.” Radical Cataloging: Essays at the Front. Ed. K.R. Roberto. Jefferson, NC: McFarland & Co. 5-11. ● Freedman, Jenna (2008) “AACR2-bendable but not flexible: cataloging zines at Barnard College.” Radical Cataloging: Essays at the Front. Ed. K.R. Roberto. Jefferson, NC: McFarland & Co.
● Marinko, R. A., & Gerhard, K. H. (1998). “Representations of the alternative press in academic library collections.” College and Research Libraries, 59(4), 363-377. ● Lawson, S, Sanders, K, Smith, L. (2015). "Commodification of the Information Profession: A Critique of Higher Education Under Neoliberalism". Journal of Librarianship and Scholarly Communication 3(1):eP1182. 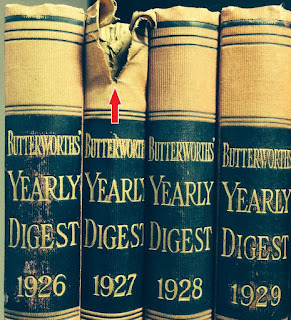 ● Mai, J-E. (2013) "Ethics, values, and morality in contemporary library classifications". Knowledge Organization, 40 (3): 242-253. 2013. ● Highby, W. (2004). 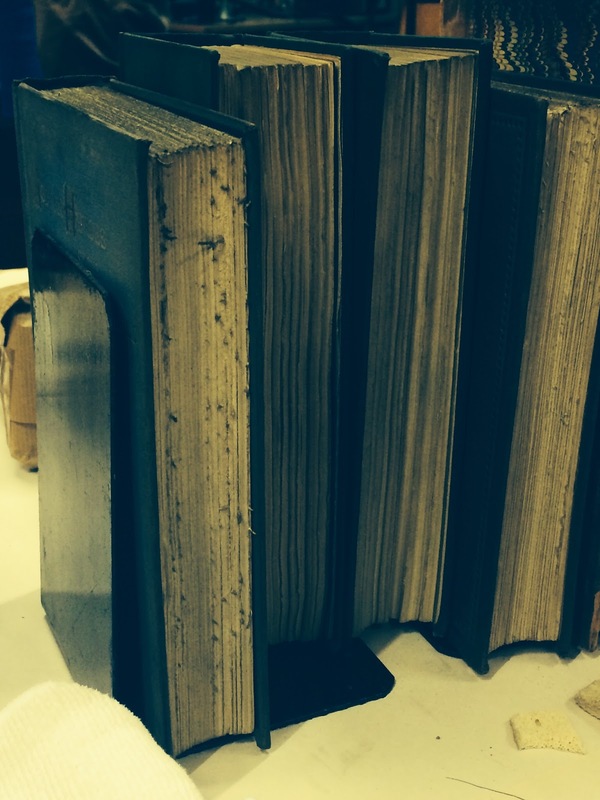 "The ethics of academic collection development in a politically contentious era". 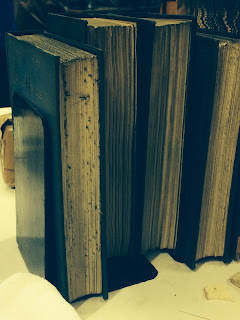 Library Collections, Acquisitions, and Technical Services, 28(4): 465-472. And finally, check out the efforts of these industrious zinesters - "It belongs in a museum library!" Last week I attended a very interesting one-day workshop that covered the topical theme of digital curation and adjacent considerations. What I actually liked most about this session was the presence of a diverse audience: the room was not just filled with curious librarians, but also included artists concerned with how to best preserve their creative outputs in the digital realm (one facet of the digital curation process), as well as researchers interested in the holistic nature of curation within the digital humanities context. The day started off with Debra F. Laefer who spoke about the higher-order rationale of open access within the digital realm (presentation entitled The euros and cents of open access data). This may include the need to fulfil institutional and research sponsorship requirements, but also public expectations, which essentially relate to the establishment of equitable access to taxpayer sponsored research outputs. Laefer also noted the immediate researcher benefits of openly sharing research data and adjoining journal publications. They include, for example, ownership validation, attraction of potential collaborators for joint publications, provision of new insights and their timely usage in a variety of academic and non-academic contexts. 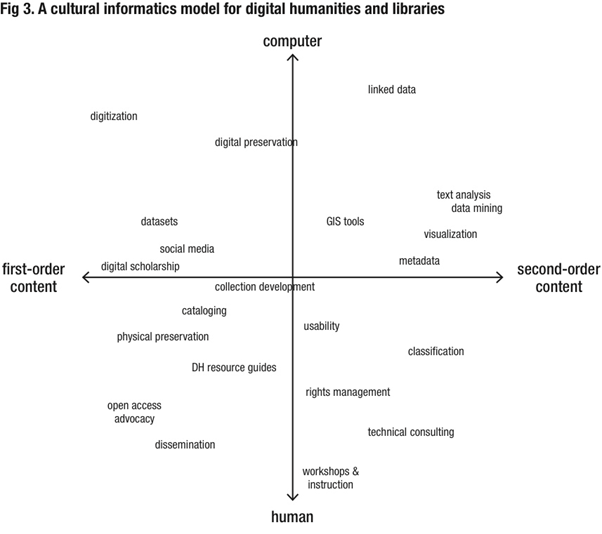 Kalpana Shankar provided a brief introduction to digital curation by demarcating its boundaries (what it is and isn't). In a nutshell, digital curation represents a set of activities including the selection, preservation, maintenance, collection and archiving of digital assets. It covers the entire lifecycle of the digital item and not just an isolated activity, such as digitisation for example. Kalpana pointed out the various threats to digital material (from software rot to sociopolitical issues) and offered cogent motivations for carrying out digtial curation efforts. 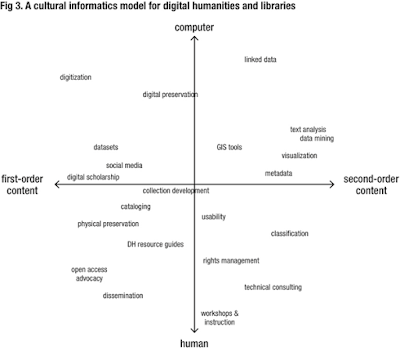 Pertinent examples were provided to this end and the digital curation lifecyle model was discussed. The OAIS framework was also introduced for the purpose of illustrating the considerations behind the design of archival systems. Jenny O'Neill reiterated the importance of digital file preservation and then drilled into the conceptual and practical considerations around metadata that attach to digital objects. Rights management was discussed (Creative Commons) as well as various DRI guides. From a librarian (my) perspective, digital curation is of critical importance. 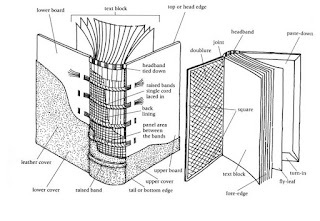 Considering Chris Alen Sula's conceptual model very much highlights the intricacies involved here.